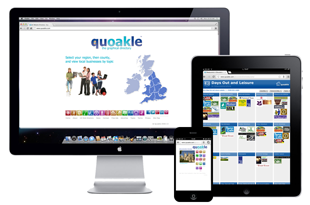 In the last few years, the Quoakle team has diversified into Website Design and Website Promotion, particularly supporting SMEs and Charities in the UK. We have recently taken on some website promotion work with a new organisation for parents – Parent Power as well as the website for The Passion UK. We also have clients as far away as New Zealand and Australia, such as Artificial Grass Sydney and Public Speaking Courses Sydney! Quoakle has been privileged to help a number of charities and educational projects. Diamond Books is a Bible-based reading project which aims to publish Bible Stories for Children that lay foundations for children’s lives not only for their reading development but also for their understanding of God and his plans. We are also pleased to be offering SEO services to a number of companies including Passion Plays, The Passion UK and Passion Trust. We are also working with the Values Foundation.